my Ink well: Happy Birthday Joseph! Tomorrow is my husband's birthday. It's a BIG one. He's a low-key kind of guy in terms of being in the spotlight, so I did not add bells, whistles or numbers on this card! I just got this wonderful Friendly Flags set from Hero Arts, and when I saw the CAS-ual Friday sketch challenge this week, I knew that I would put the two together along with Dictionary Greeting. I think it is crisp and fun - perfect for this occasion! Paper~PTI white, SU Black, Neenah Solar White. 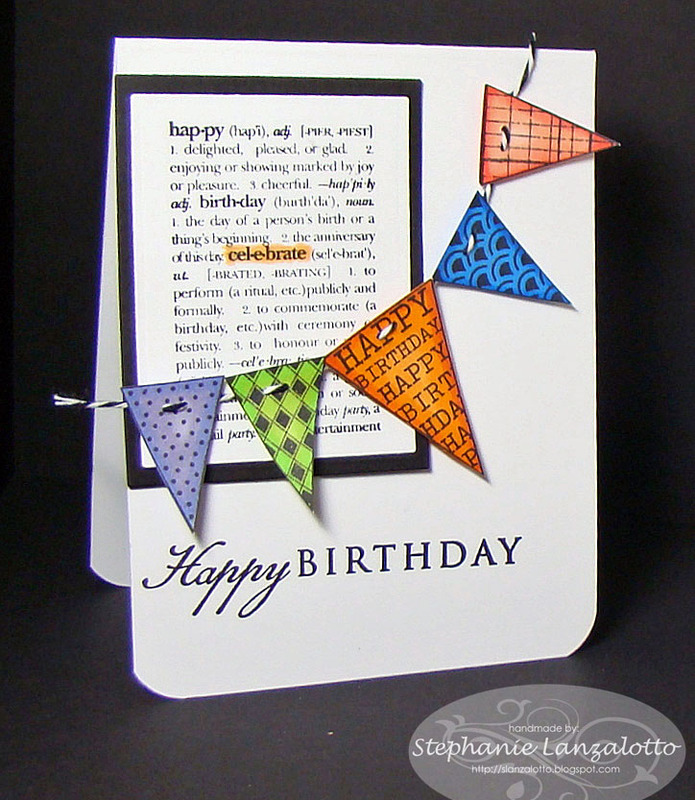 Stamps~Hero Arts Friendly Flags & Dictionary Greeting, PTI Think Big Favorites #12. Ink~Memento Tuxedo Black, VersaFine Onyx Black. Accessories~Copics, Nestabilities, Dimensionals, The Twinery black twine. Love your banner, great card. Now this is a fun take on the Sketch challenge! 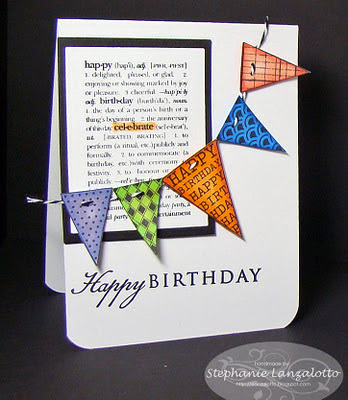 I love this happy cheerful card! Your husband shall be very glad with such a great card!! Wonderful card...love those banners...I struggle with "manly" cards....I have been trying to make a mans Valentine..good thing I have 2 weeks left...lol!! The banners are a great idea!! Beautifully done! I love the banners across the text! So cheery and festive! 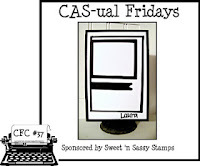 So glad that you play with us at CAs-ual Fridays! Thanks also for stopping by my blog! I love your banner, Stephanie, especially how you've strung it on the twine and hung it over the text. My hubby just celebrated his 40th last week. Unfortunately our oldest has her birthday the day before, so her celebrations tend to overshadow his. Poor guy. :) Ann Y. LOVE this one! I have that Dictionary Greeting set, and never thought to use it this way. Am pinning to CASE. Super cute.